WE DID IT. Praise Jesus! It felt like this day would never truly come. 1. We have secured an incredible patient coordinator Caroline, who has served as a leader in orphan care here in Kenya since 2005. She has worked hard to provide us with every possible resource and to contact numerous orphanages throughout Sub-Saharan Africa to identify the most vulnerable cases to be evaluated for admission at our facility. 2. Both ships stocked with our medical supplies and machinery have arrived safely in Kenya! I was certain at least one shipment would be delayed or even sink (legitimate fear). But both have arrived in due time and we were “coincidentally” issued our Pharmacy & Poisons Board Permit (a requirement for many of our items) just hours before the arrival. Can I just say GOD IS GOOD? 3. We have secured the world’s most compassionate staff. From a local pediatric hospitalist who is willing to contribute her talents for $8/hr (compared to the usual $20). 10+ strong and abled widowed women who are assuming roles as receptionists, caregivers, nursery-monitors, launders, and administrators. Adult orphans who are living onsite to invest in the daily lives of children enduring trials they have also faced and are committed to walking through again with them. US missionaries who are so generously raising their own support for their 50+ hour work-weeks without any compensation from our company. AND SO MANY MORE. 4. A local widow is allowing us to use her late husband’s 9-seater safari van as an ambulance/means of transport at NO COST to our hospital! WHAT??!! Yes. Cars/vans are about 5x the price that we see in the US. Finding a good quality car that was within our budget was extremely trying and hiring drivers daily was accumulating much expense as well. We are so grateful for our dear Kenyan friends like this amazing woman who is sacrificing all she has to provide hope to these children. 5. Our OVI Ambassadors are killing it! 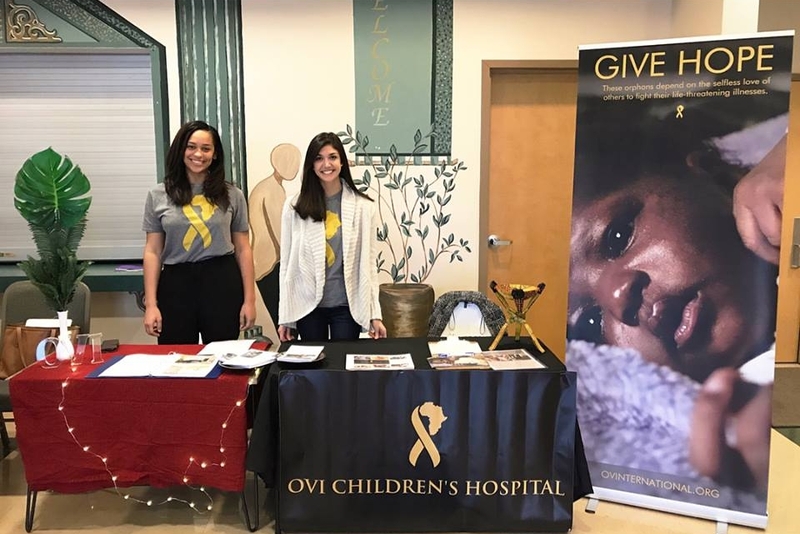 Really though, from setting up booths at conferences, to designing/selling sweatshirts/ornaments, offering holiday photo-sessions, to starting OVI Ambassador clubs at universities across the US, these friends are truly keeping our passion ablaze. So here we are, arrived at the the dream we dreamt for so long. Please continue praying as we dive right into the center of the work that has been set out for us. We look forward to sharing stories of all the beautiful lives that will be saved thanks to your choice to believe in our mission before it even began!